PSNews – Representatives of the Vietnam Academy of Sciences and Technology and the Nha Trang Institute of Oceanography on July 28 welcomed the Academic Oparin research ship from the Russian Academy of Sciences at the Nha Trang port. 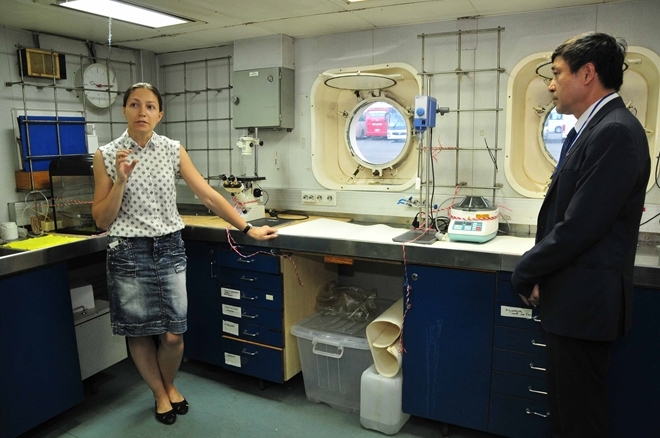 During the visit to Vietnam from July 13-29, the Academic Oparin research ship from the Russian Academy of Sciences conducted marine surveys in Vietnamese East Sea. The scientists aimed to carry out a comprehensive survey of the biodiversity and biochemistry of Vietnamese waters, including coral reef systems, and collection and identification of seaweed species as well as marine creatures and microorganisms. Vietnamese and Russian scientists sharing experiences on oceanography. Based on the results of the research on the coral reefs and marine life in the area, Vietnamese authorities will consider measures for sustainable exploitation of sea resources and for the construction of marine reserves and tourism facilities. 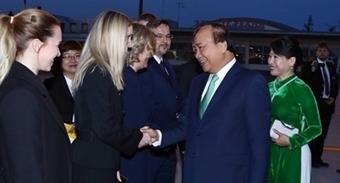 This activity is a part of the joint agreement on oceanography between the Vietnam Academy of Sciences and Technology and the Russian Academy of Sciences. It was the sixth time that Vietnamese and Russian scientists are conducting a joint study of Vietnamese marine life with this ship. Its previous trips were made in 2005, 2007, 2010, 2013 and 2016. The 75.5 meter long, 2,440 metric ton ship is equipped with five laboratories and modern technology capable of assisting in the collection of deep sea samples. The vessel can accommodate a total of 36 scientists and 30 crew members.